Sue McCloskey is one half of the team that founded what has sparked a transformation in the dairy industry. “You’ve heard of companies that have been born out of garages," she says. "This one was born at our kitchen table. I never imagined it would get this big." “It” is fairlife, LLC, a network of 92 sustainable, family-owned farms revolutionizing the dairy industry. It all started with one farm and a big dream – the pursuit of perfect milk. They’re achieving it, and big businesses are taking notice. Mike McCloskey already had a well-established veterinary practice caring for cows in California when the husband-wife duo started dairy farming. They started small, with a 300-cow farm and then a 1,000 cow farm. Both knew they wanted to make a bigger impact on the industry, so they joined a respected co-op of farms in New Mexico. But instead of settling into the norm, together, they shook up the establishment that was big dairy. That’s when the McCloskeys broke away from the establishment to found Select Milk Producers, a group of dairy farmers who share a common belief in extraordinary standards: honest, sustainable and traceable farming. Select Milk Producers was the beginning of a dairy revolution, and it started with one special farm in rural Indiana, now called Fair Oaks Farms Dairy Adventure, the flagship farm of fairlife, LLC. Fair Oaks is the model —and the standard— for more than 90 partner farms nationwide under the fairlife name. What’s so special about Fair Oaks? Everything – from the grass, to the cows, to the trucks, to the dairy products made there. A fairlife worker feeds a calf. The company has pledged fair animal treatment. “We started fairlife to provide high-quality, real milk that is filtered for more natural nutrition,” says Mike. “Filtered” is the key. The McCloskeys have gained national and international recognition for their patented milk filtration system – a system they developed somewhat by chance. “We were constantly repairing a broken water well on one of our farms,” says Sue. “So we decided to stop ordering new parts and figure out a way to fix what we had.” The result – a sophisticated filtration system that provided pure water through reverse osmosis. It is the same technique they later applied to milk. Today, all milk produced by fairlife goes through a one-of-a-kind filtration process. The water, minerals, lactose, protein and fat in milk all have five different sizes, which allows the fairlife farmers to catch it in filters, concentrating the best nutrients and filtering away the rest. The filtration process is one piece of what makes Fair Oaks Farms unique — they also bring “Reduce, Reuse, Recycle” to a whole new light. The 42 tractor trailers that ship milk from fairlife’s flagship farm in Indiana, Fair Oaks, are all powered by cow manure. This “poo power” saves two million gallons of diesel fuel a year, in addition to reducing the farm’s dependency on natural gas and electricity. “Our goal is to eventually run the world’s first dairy farm with a carbon neutral footprint,” says Mike. The power isn’t the only aspect of the farm over which the McCloskeys and their farming partners have total control. “You can literally take any one of fairlife’s products and trace it right back to whatever farm it came from on a given day,” says Sue. That means Fair Oaks grows its own crops, instant-chills its milk (at 37 degrees within minutes of milking the cow), fills its own milk trucks and bottles its own milk. The farmers at Fair Oaks also select to make their own cow feed. “Our harvests are carefully mixed to create a well-balanced diet for our cows, to ensure that every cow is getting the right amount of nutrition in every bite,” says Mike. That means the milk can be traced from grass to glass ensuring fairlife milk is coming from some of the most well-fed, and "happiest," cows in the country. fairlife co-founder, Mike McClosky, has said that happier cows make better milk. Mike, the veterinarian turned farmer, says “comfortable, healthy cows produce better quality milk,” which means fairlife cows reward consumers with some of the best milk in the industry. 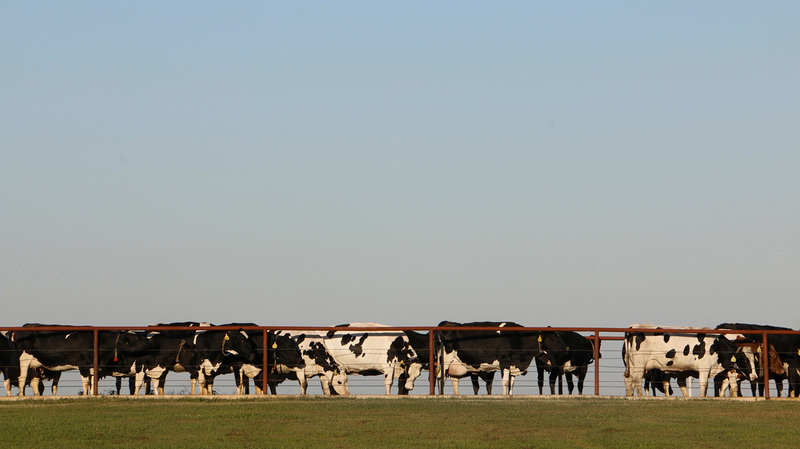 On fairlife’s farms, cows are spoiled from the start and live, by farm standards, a life of luxury. Mike and Sue give all their cows comfortable sand beds in free stalls. This way the cows can move freely and are protected from the weather. If you’ve ever seen cows out wading in a pond, it’s because they love to cool off. In the summer months, the McCloskeys combat the heat by turning up fans to blow a consistent seven-miles-per-hour breeze on the bovines, and sprinklers even spray water to help keep them cool. This animal husbandry is more than just on-the-job training – it’s a way of life for any employee on a fairlife farm. “The mission to make things better doesn’t start and stop with the McCloskeys – it lives on in the hearts and minds of thousands of young people who are educated every year at Fair Oaks on sustainable, fair farming practices." fairlife is 92 farms strong and growing, but it’s not just the farming industry taking notice. Earlier this year, Coca-Cola announced that its Minute Made division will begin selling a premium-priced, protein-boosted milk under the fairlife label. The milk has more protein and less sugar than regular milk, and because of the way it's pasteurized, the fairlife milk lasts 90 days in the cooler vs. 15 days for conventional milk. But fairlife isn’t stopping with milk; they’re tapping into a new dairy trend: Greek yogurt. 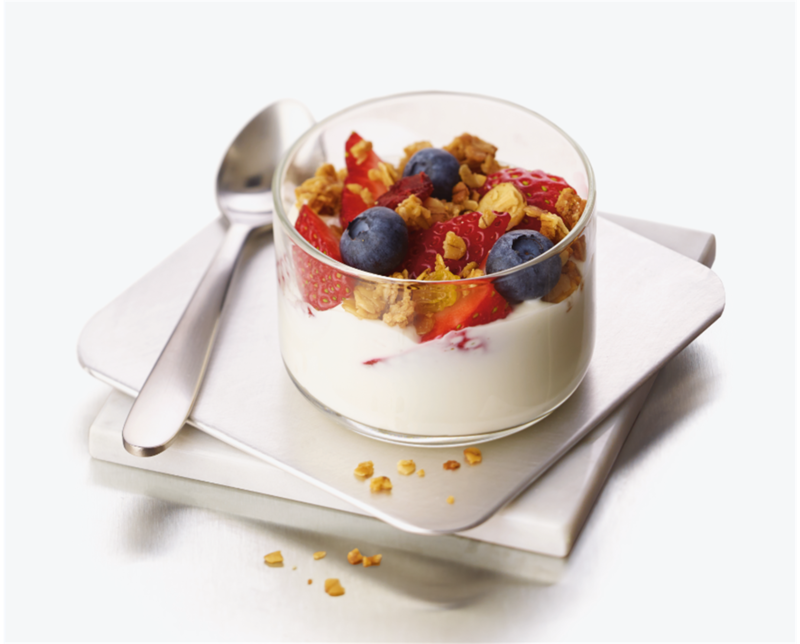 Recently Chick-fil-A announced its partnership with fairlife for its new Greek yogurt parfait, created exclusively at Fair Oaks Farms and sold at the restaurant company’s more than 1,900 nationwide locations. And it’s all made – from milking the cows to creating the yogurt – on one farm using the special filtration process. The mission to make things better doesn’t start and stop with the McCloskeys – it lives on in the hearts and minds of thousands of young people who are educated every year at Fair Oaks on sustainable, fair farming practices. So they decided to double their flagship farm from a functional dairy to a full education system. Just last year, more than half a million people flocked to the farm to experience everything from watching cows being milked on a 72-cow dairy-go-round, to crop education, to live calf births. Fair Oaks Farms Dairy Adventure, the flagship farm of fairlife, LLC. Knowing their vision for better, more honest farming is being lived every day through not only their products, but through education, is something bigger than the McCloskeys could have ever hoped for. When in Rome, do as the Romans do. That philosophy isn’t far off from a trend that many Americans are finding beneficial to their health: the Mediterranean diet.